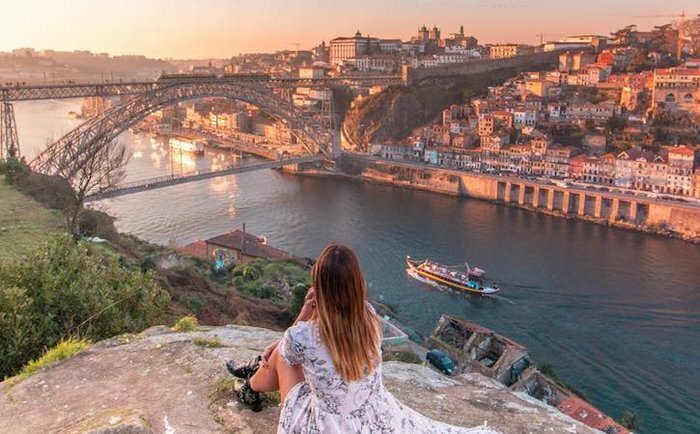 It’s nearly impossible to decide what to love most about Porto. Maybe the grandeur of the tile-covered buildings that line each street. Or the laid-back and charismatic vibe of the locals. 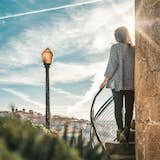 Maybe it’s the charming backstreets leading to better and better views or the bustling waterfront punctuated by salty breezes. Whatever it is, you’ll be hard-pressed to name something you don’t like about this sunny and cool city. Gustave Eiffel (yes, the brain behind the Eiffel Tower) was part of the production process of Porto’s two iconic bridges. 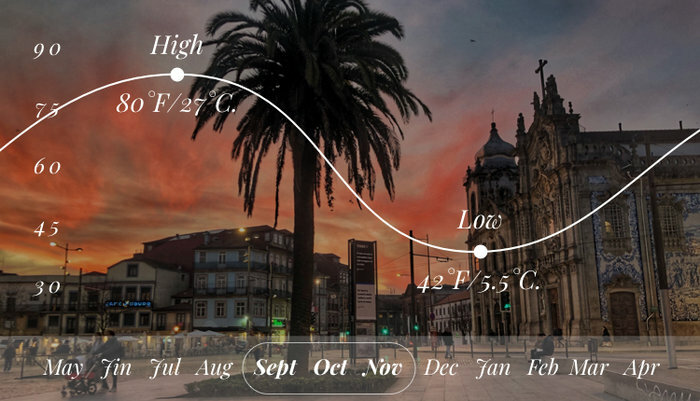 Porto enjoys moderate temperatures year-round, which makes it an attractive option for a European itinerary. Summer is a popular time to visit, with breezy temperatures and sunshine, but also spiking prices and crowds. Though fall sees a little more rain, prices drop and crowds thin out. Fall also features beautiful colors just in time for harvest season in the Douro Valley. Just remember to bring a rain jacket for the occasional drizzle. 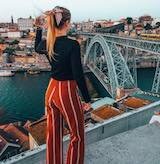 Porto is well-known for its stunning architecture, a mix of opulently-designed churches, palaces and even train stations that are a wonder to behold. 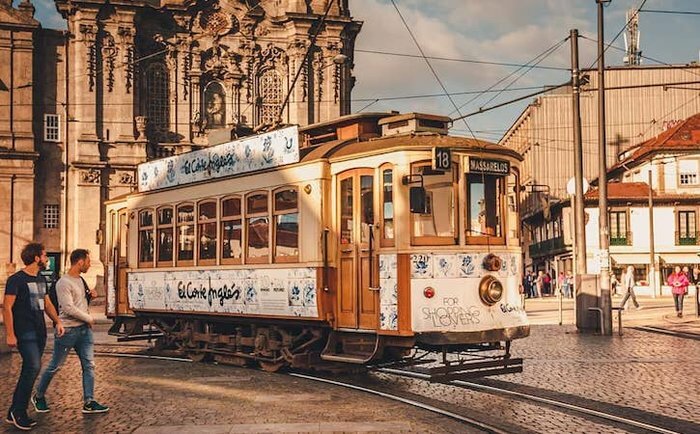 Many of these structures feature Porto’s famous azulejos, blue and white tiles that add a little something extra to the design. 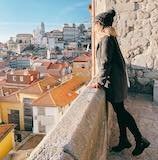 Take a walking tour of the city to see spots like Sé do Porto, one of the oldest churches in Portugal, and the São Bento Railway Station with its tall windows and artful walls. 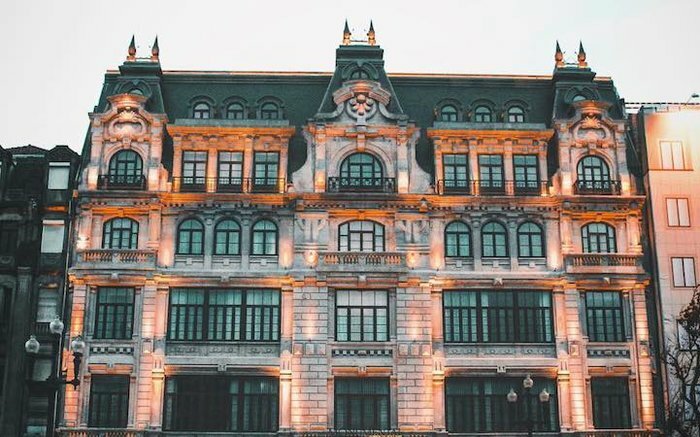 Wander through the ornate halls of Palacio da Bolsa before making your way to the Church of São Francisco for even more eye-catching design. 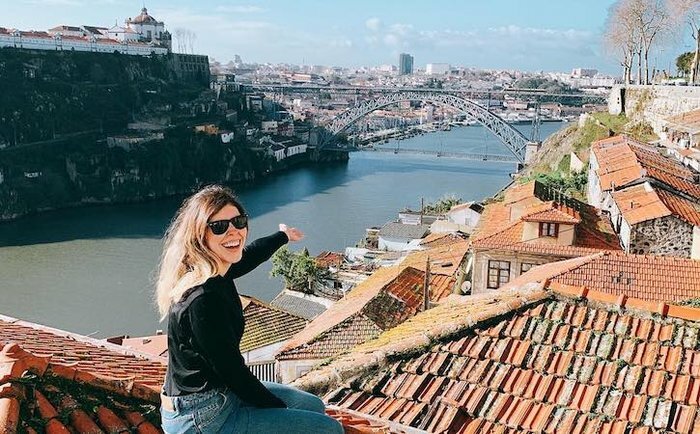 In Porto, it’s all about the views. 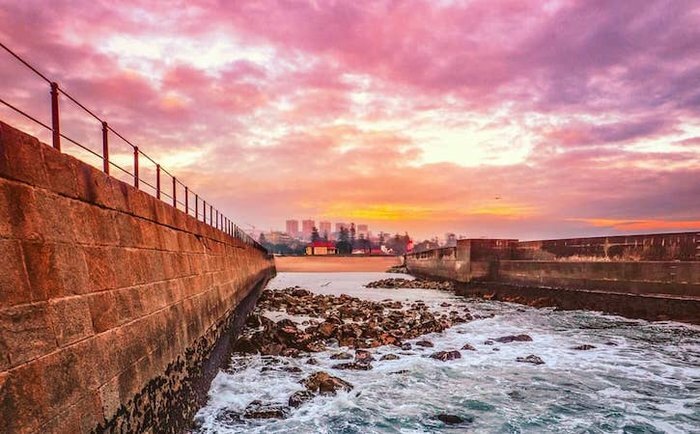 The historic core of the city is stacked on sloping hills, and exploring its ever-higher gardens, neighborhoods and towers will yield some incredibly stunning overlooks. Visit Jardins do Palácio de Cristal, a series of romantic gardens with fantastic vantage points overlooking the river. Find your way to Torre dos Clérigos, a striking tower with 360-degree views of the city. 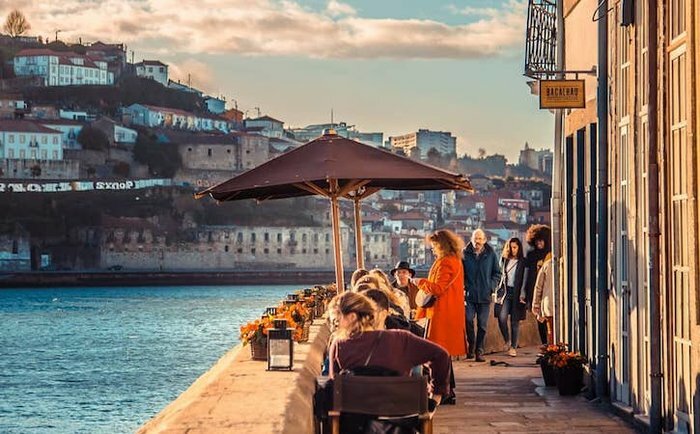 If the weather is right, grab a beer and hang out with locals at Jardim das Virtudes to watch the sunset over the Douro, capping off a perfect day. When in Porto, life is laid back and you need to join the locals where they are. 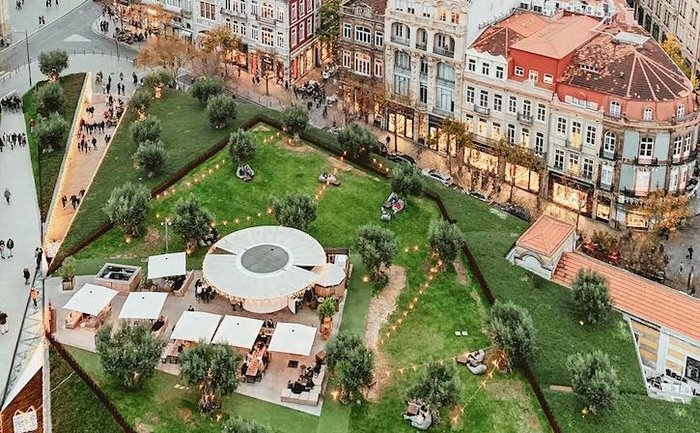 Stroll through the Praca da Ribeira, one of the oldest squares in the city, getting lost among the cafes and shops. Stroll Avenida dos Aliados, the main artery of the city, for more shopping and architecture. Peep the street art near Rua das Flores or head indoors for exhibits at Museu Nacional Soares dos Reis. Book lovers should stop into Livraria Lello, a bookstore that will transport you to another world, while self-proclaimed winos would do well exploring the wine caves along Cais de Gaia. 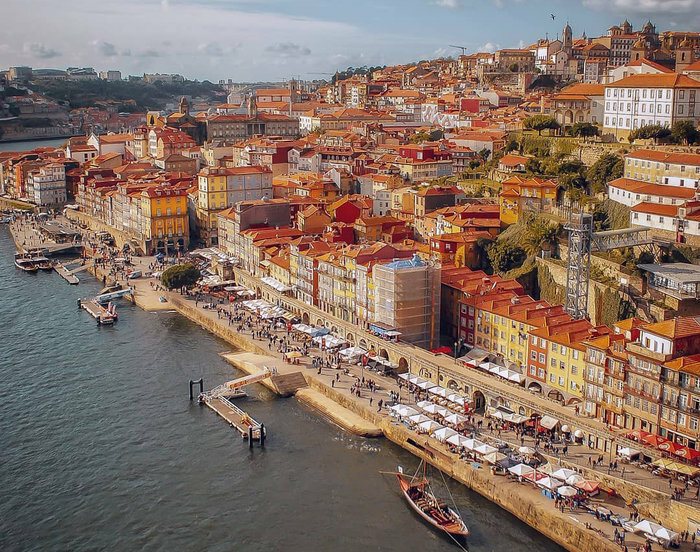 Porto sits along the Douro River, just a few miles from where it flows into the Atlantic. 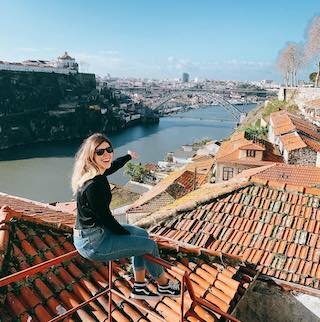 If you’re staying in the historic center, explore the Ribeira waterfront or cross the Dom Luis I Bridge, taking your time so you can capture stunning photos. 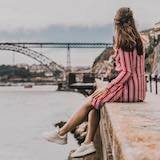 Follow the water and explore Foz do Douro, the meeting point of river and ocean. Scattered with beaches, shops and delicious seafood restaurants, this corner of Porto transports you to a fashionable beach town. Walk along the waterside promenade to Felgueiras Lighthouse and enjoy a sunny afternoon of sand and surf. If you’re ready to escape the city, head south down the coast to the Chapel of Senhor da Pedra, a wide sandy stretch of beach marked with a lonely chapel on the shore. If there’s one thing Porto is famous for, it’s port, the sweet dessert wine manufactured in the nearby Douro Valley. Explore the wine cellars, or “caves,” along the south side of the Dom Luis bridge to taste this sweet wine. For another traditional snack, grab a Francesinha, a layered meat sandwich covered in cheese and a spicy beer-tomato sauce. You can debate your favorite, but Cafe Santiago F serves up a mean entry. Breakfast should be spent at the Majestic Cafe, which more than lives up to its name with ornate decorations and delicious food options. When night rolls around try Maus Habitos, a restaurant that turns into a bar and concert hall at night. For dinner on a budget, search out some petiscos, the Portuguese version of tapas, at Brick Clérigos. 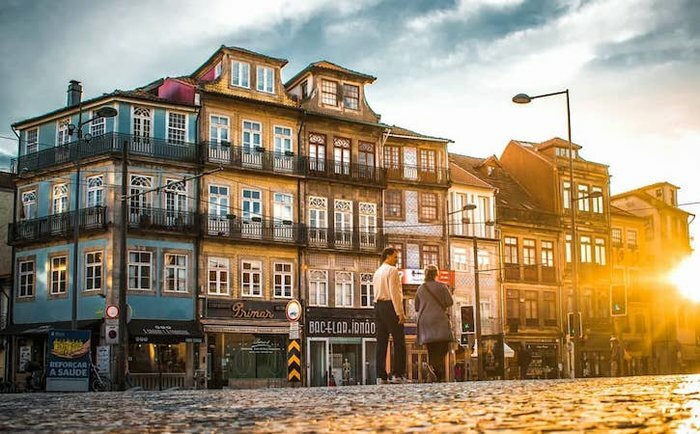 Finding a hotel in Porto is easy, but what will you go for? 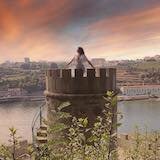 If you want views and luxury, book The Yeatman Hotel, whose restaurant has a Michelin star. For posh accommodations and a central location, try Le Monumental Palace. 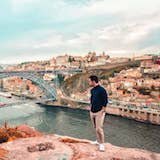 Budget travelers should book away from the touristy Avenida dos Aliados or explore the hostel options, like Best Guest Porto Hostel or the thematic Wine Hostel.